New York Polyphony, photo by Chris Owyoung. 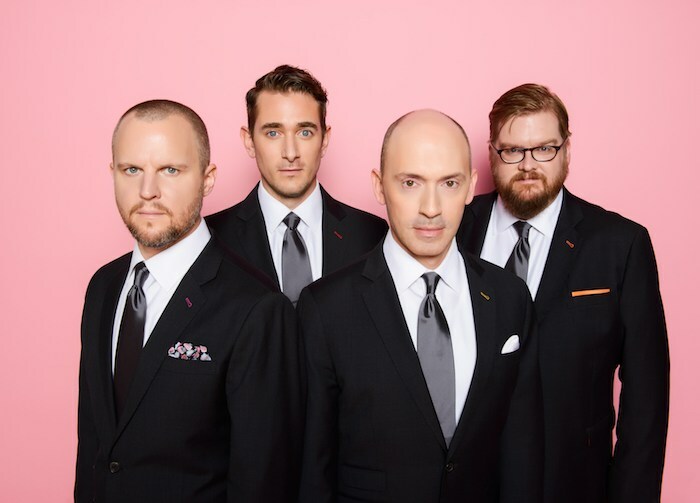 Hear them for yourself when UCSB Arts & Lectures presents the two-time Grammy Award-nominated vocal chamber ensemble New York Polyphony in its Santa Barbara debut on Wednesday, February 20 at 7 p.m. at Music Academy of the West’s Hahn Hall (1070 Fairway Rd., Santa Barbara). The provocative program Faith and Reason includes Thomas Tallis’ Mass for Four Voices and Gregory Brown’s Missa Charles Darwin—the inspiration behind his brother Dan Brown’s latest Da Vinci Code novel—which honors the conventions of its musical antecedents but replaces sacred texts with excerpts from Darwin’s writings. Of special note, this performance marks the return of Music Academy of the West alumnus Christopher Dylan Herbert, the group’s baritone, to his alma mater. For tickets or more information, call UCSB Arts & Lectures at 805/893-3535 or purchase online at ArtsAndLectures.UCSB.edu. Originally published in Santa Barbara Seasons on February 19, 2019. Danish String Quartet, photo by Caroline Bittencourt. 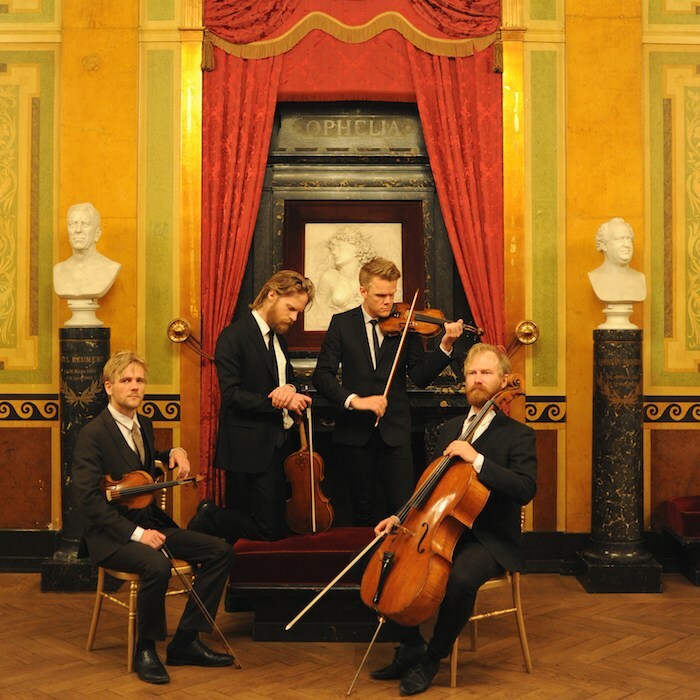 The Danish String Quartet returns to Santa Barbara this week for two beautiful nights of music presented by UCSB Arts & Lectures. First up, a salon-style program of Nordic folk on Tuesday, Feb. 12 at 7 p.m. at Rockwood. Then on Wednesday, Feb. 13 at 7 p.m. they will perform a classical program of Haydn, Abrahamsen and Nielsen at UCSB Campbell Hall. “The quartet’s crystalline sound conjures a magical atmosphere and nods to the strident tone of Nordic fiddle playing,” writes The Strad (U.K.). 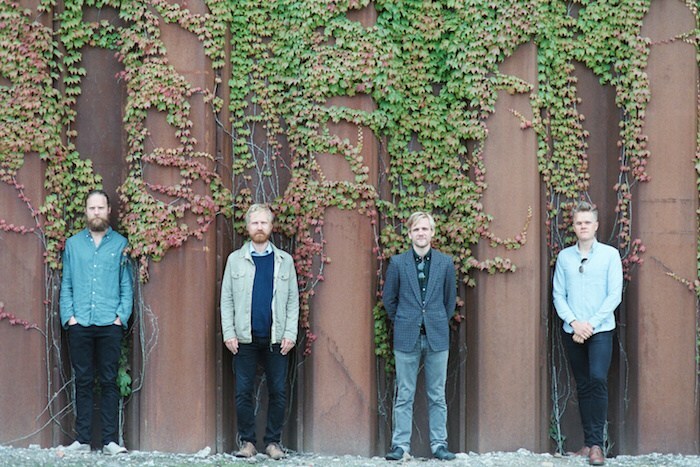 These four Nordic lads have played together since childhood and possess “warmth, wit, a beautiful tone and technical prowess second to none” (NPR). Violinists Frederik Øland and Rune Tonsgaard Sørenson and Viola player Asbjorn Norgaard met as children at a music summer camp where they played soccer and made music together. As teenagers, they began the study of classical chamber music and were mentored by Tim Frederiksen of Copenhagen’s Royal Danish Academy of Music. In 2008, the three Danes were joined by Norwegian cellist Fredrik Schøyen Sjölin. Originally published in Santa Barbara Seasons on February 11, 2019. 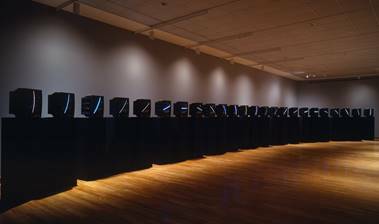 The modern music collective wild Up—an adventurous chamber orchestra committed to creating visceral, thought-provoking happenings—comes to Santa Barbara Museum of Art on September 27 with a program inspired by Nam June Paik’s TV Clock. Featuring Violinist Andrew McIntosh, the performance is about space, light, and the passing of time. Nam June Paik, TV Clock, 1963/1989. Twenty-four fixed-image color television monitors mounted on 24 pedestals. SBMA, Museum purchase with funds provided by the Grace Jones Richardson Trust, Lillian and Jon B. Lovelace, Leatrice and Eli Luria and the Luria Foundation, Zora and Les Charles and the Cheeryble Foundation, Wendy and Elliot Friedman, and Lord and Lady Ridley-Tree. Situated in front of Paik’s work, four wild Up violinists perform elegant and visceral works by Anahita Abbasi, John Cage, Tashi Wada, and Steve Reich. The event is free, but reservations are required as seating is limited. wild Up has been called “Best in Classical Music 2015” and “…a raucous, grungy, irresistibly exuberant…fun-loving, exceptionally virtuosic family” by Zachary Woolfe of The New York Times, “Searing. Penetrating. And thrilling” by Fred Child of Performance Today and “Magnificent” by Mark Swed of the Los Angeles Times. Over the last eight years, wild Up has collaborated with orchestras, rock bands and cultural institutions around the world. The performance takes place on Thursday, September 27, from 6 – 7 p.m. at Santa Barbara Museum of Art, 1130 State St., Santa Barbara. It is free but please reserve tickets at the Museum Visitor Services desk, or online at tickets.sbma.net. Originally published in Santa Barbara Seasons on September 25, 2018. Squirrel Nut Zippers, photo by Paul Familetti. Alternative band The Squirrel Nut Zippers comes to UCSB Campbell Hall on Thursday, March 1 at 8 p.m. in a UCSB Arts & Lectures presentation. Described as ‘combining high-energy showmanship with elements of gypsy jazz, honky-tonk blues and witty swing overtones,” The Squirrel Nut Zippers’ most celebrated and commer­cially successful album, Hot, top-charting fast-and-loose ode to hot jazz, sold more than 1.3 million copies. The band is on tour after an almost seven-year hiatus and Beasts of Burgundy, their first studio album in 18 years, is due out March 23. For tickets and information, call 805/893-3535, or visit www.ArtsAndLectures.UCSB.edu. Originally published in Santa Barbara Seasons on February 27, 2018. Jose Gonzalez, courtesy UCSB Arts & Lectures. UCSB Arts & Lectures presents José González with special guest Bedouine on Wed., Jan. 31, at 8 p.m. at UCSB Campbell Hall. A soulful songwriter with a deep, quiet power, González quickly gained a loyal following worldwide, wooing his audience with probing lyrics, intricate guitar melodies and a “beautiful yet haunting voice” (Spin.com). Born in Sweden to Argentinian parents, González seamlessly integrates the sounds of his Latin American roots with sublime introspective folk punctuated by rock panache. “A spellbinding talent” (The Telegraph, U.K.), González returns by popular demand with special guest Bedouine, whose ‘60s folk meets ‘70s country-funk with a glimmer of bossa nova cool. For tickets and more information, call UCSB Arts & Lectures at 805/893-3535 or visit www.ArtsAndLectures.UCSB.edu. Originally published in Santa Barbara Seasons on January 29, 2018. Jean-Yves Thibaudet, courtesy Music Academy of the West. Music Academy of the West’s Summer Music Festival brings eight weeks of world-class classical music making to town Jun. 13–Aug. 6. Highlights include recitals by pianist Jeremy Denk (Jul. 18, 21), flutist Emmanuel Pahud (Jul. 20), Beethoven’s “Eroica” Symphony conducted by New York Philharmonic Music Director Alan Gilbert (Jul. 16), a west coast opera premiere by Matthew Aucoin (Jun. 28), a new production of Smetana’s The Bartered Bride (Jul. 18), two community concerts starring superstar pianist Jean-Yves Thibaudet (Jul. 2–3) and much, much more (musicacademy.org). This story originally appeared in the Summer 2016 issue of Santa Barbara Seasons Magazine.